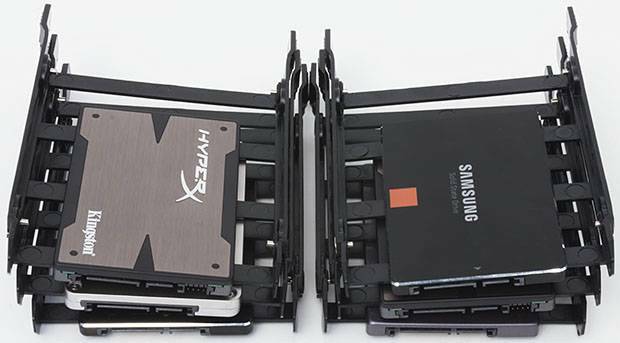 ICY DOCK Asia: ICY News: The SSD Endurance Experiment: 200TB update. The first bad blocks appear! ICY News: The SSD Endurance Experiment: 200TB update. The first bad blocks appear! "Solid-state drives have revolutionized the PC storage industry. Their wicked-fast access times deliver a palpable improvement in overall system responsiveness, and prices have fallen enough to make decent-sized drives affordable for all. There's just one catch: due to the nature of flash memory, SSDs have limited endurance. For one of the SSDs, the first signs of weakness appeared when we polled the field after 100TB of writes. The SMART attributes of our Samsung 840 Series 250GB SSD revealed 11 reallocated sectors—bad blocks, in other words. Since the 840 Series' three-bit TLC NAND has lower write endurance than the two-bit MLC flash typically found in consumer-grade SSDs, we weren't surprised that it was the first to exhibit failures. All of our other candidates use MLC flash." Looks like Samsung 840 series aren't doing so well.